The months leading up to Biketober, and Biketober month itself consumed the spare or work time of many an advocate for “more people on bikes more often”. Whether volunteer or part of the day job, anyone associated with the Asia Pacific Cycling Conference, CCC Street Events, Heritage activities, New Zealand Bike Expo, cycleway promotions, Ride Leaders and much more was buzzing with the word Biketober. Buzzing too were many of the ordinary Christchurch folk who jumped on their bikes to partake in the activities. The mundane and the necessary however continued, and much progress was and continues to be made on the construction our 13 Major Cycleways. 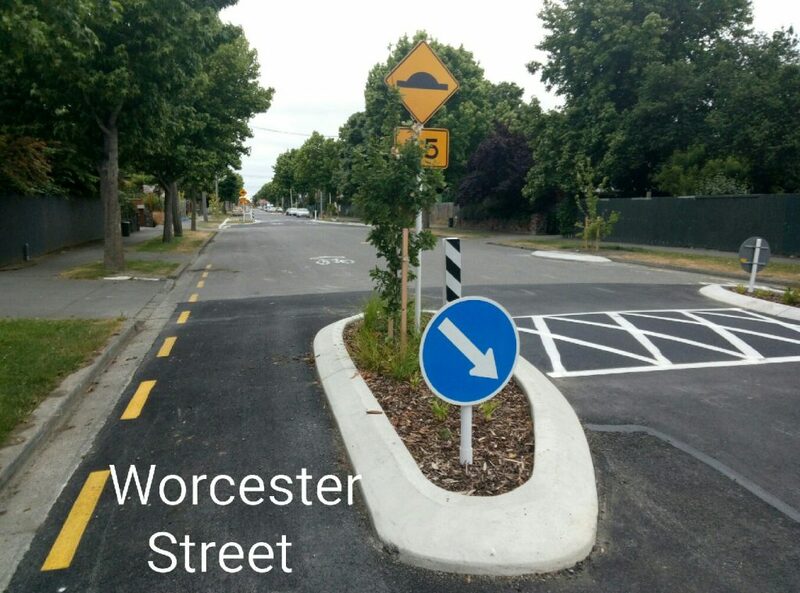 This is in spite of the dramatic consultation hotspots, such as Ferry Road, St Asaph Street, or the Oxford Gap (better known as Hospital Corner). The following is a photographic summary of recent progress. 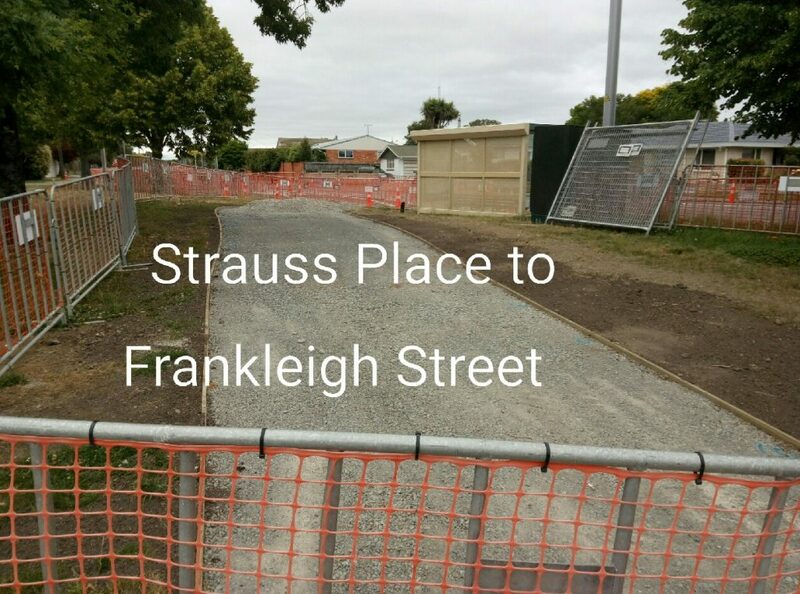 Out east, the Rapanui Shag Rock cycleway still has not made it over the finish line, although the majority of the work is complete. 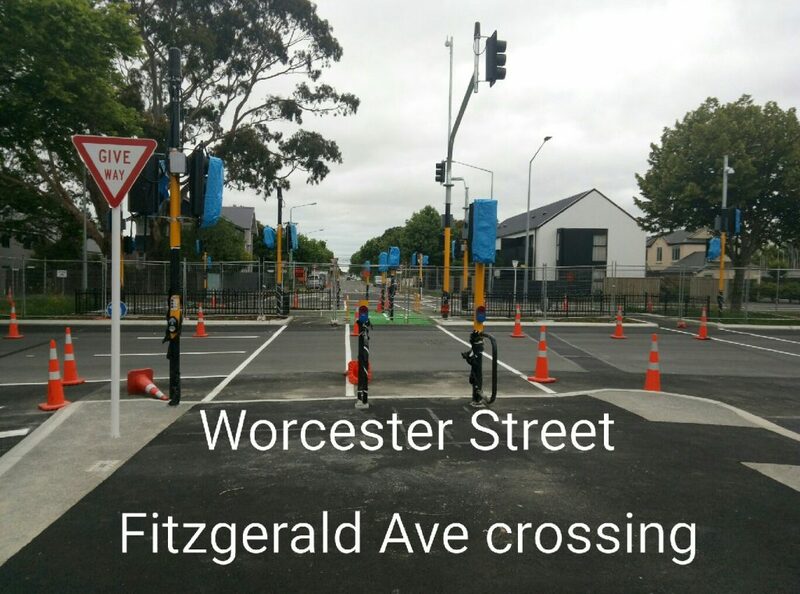 Worcester Street now has an attractive ‘neighbourhood greenway’ feel about it, the Aldwins Road crossing into Linwood Park is complete and the Fitzgerald Ave/Worcester Street intersection completion can only be days away. 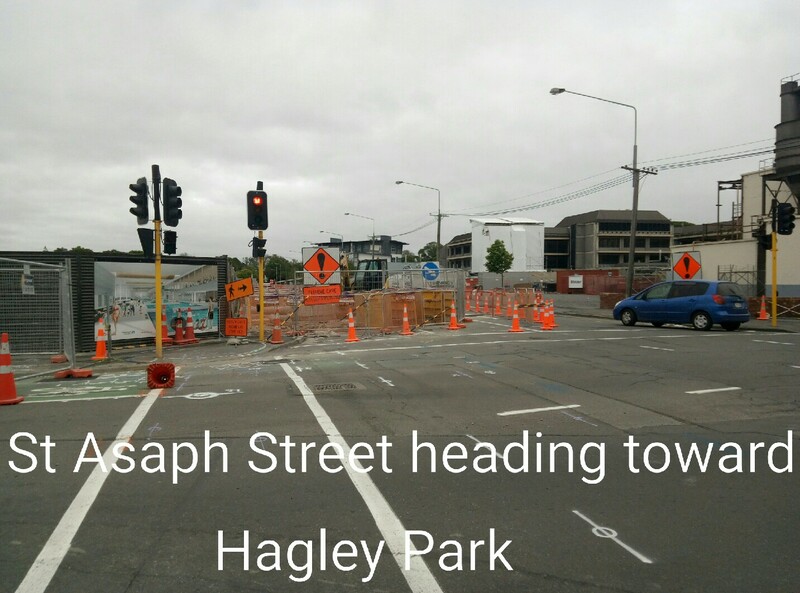 A separated bike facility along St Asaph Street westward at the Hagley Park end is now under construction. 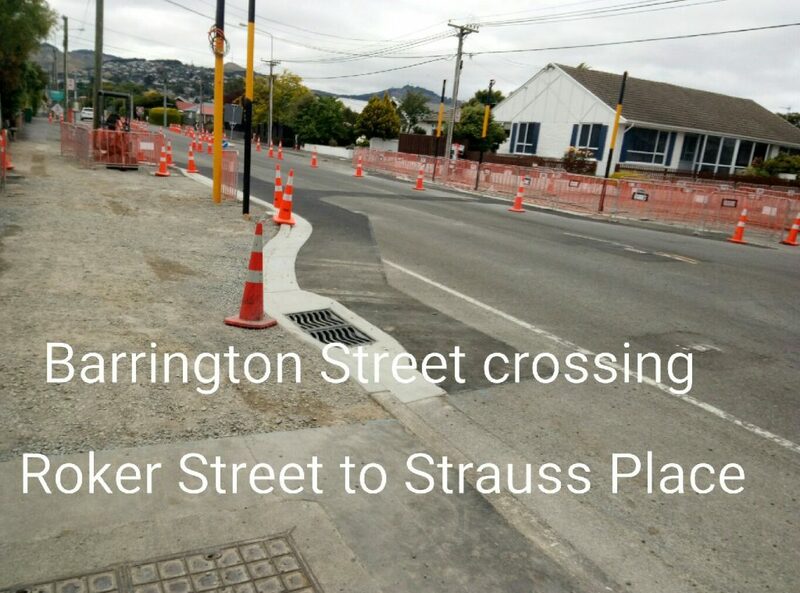 It will be bi-directional between Hagley Park and Antigua Street to enable better access between the city and the south/west, diverting many users from the need to travel the busy Hospital Corner route. 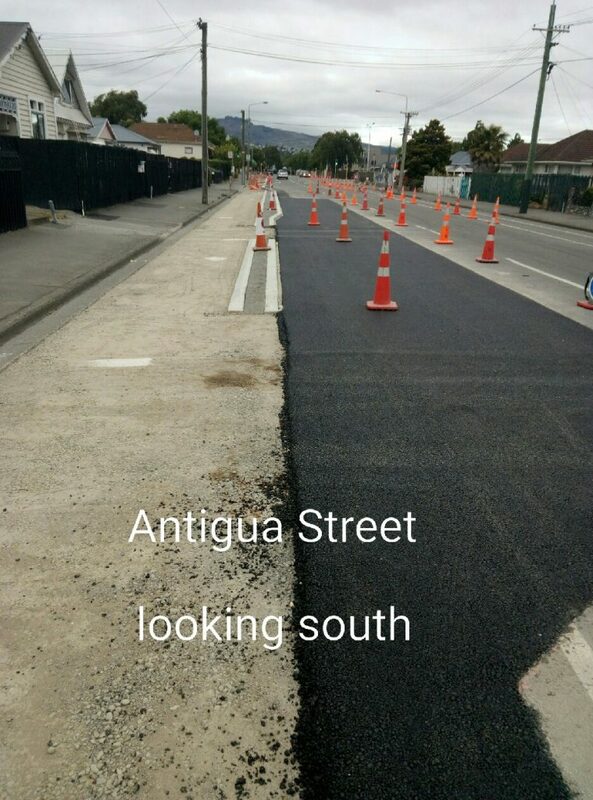 Antigua Street from Oxford Terrace to Tuam Street is now closed for work outside the new Outpatients Building including an upgraded pick up-drop off slow road. The biggest piece of action at present is the work constructing the Quarryman’s Trail Major Cycleway (Puari ki Otūmatua). It is impressive to see just how much work is being done simultaneously along the route. 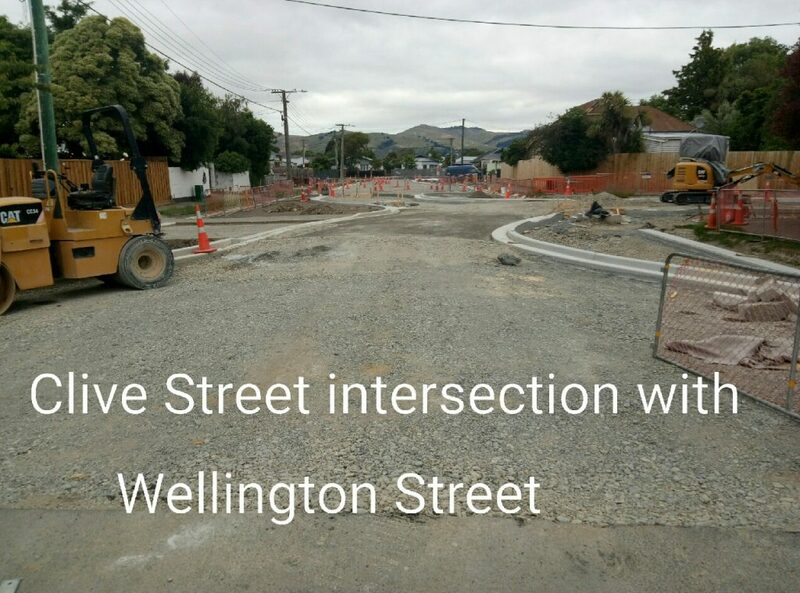 This work will see a mostly separated route from the Antigua Boatshed Bridge through to Te Hā Pua Halswell, initially, and eventually to the Halswell Quarry. At almost 10km in length, this is one of the longer routes in the stable of 13 and is expected to be completed near the middle of 2018. Once completed, it is hoped that side connection improvements can be made to schools in the area, as well as Barrington Mall, and The Colombo shopping centres. 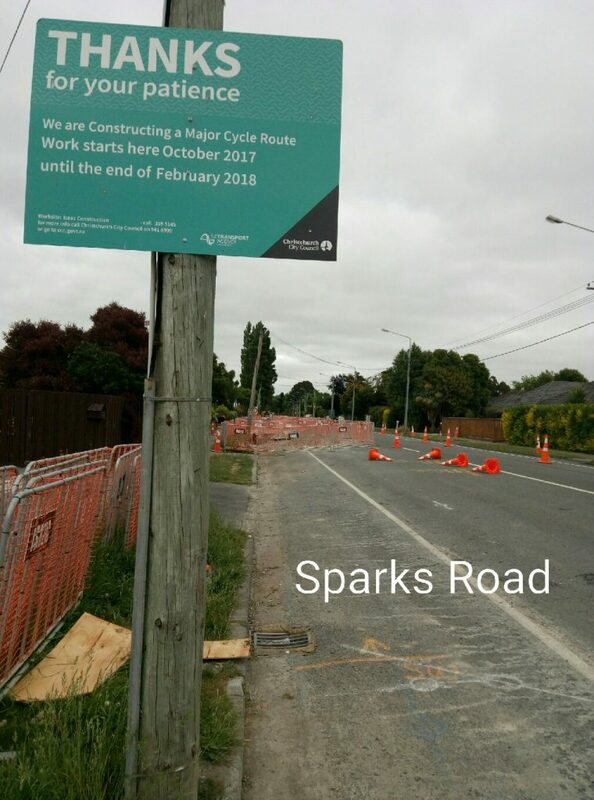 After the major activity during 2016 and 2017 to build the Papanui Parallel Cycleway action in the north of the city has dwindled somewhat, with the exception of work beginning on the upgrade of the railway cycle path. By 2019, this improved cycleway (Northern Line Cycleway) will have been extended to the north as far as Northwood Boulevard on the Main North Road and south to Blenheim Road (via saleyards link from Hagley Park) to link with the Southern Express route to Hornby. Work is subject to the requirements of KiwiRail activities. 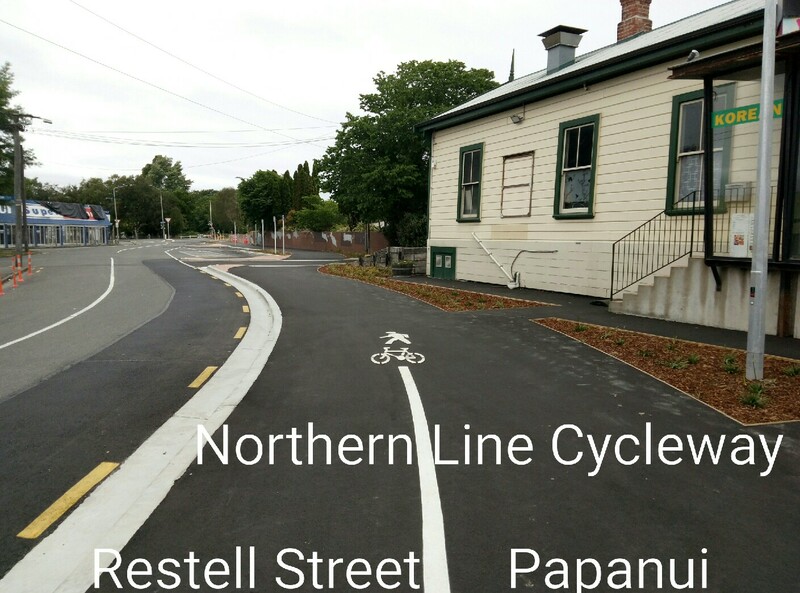 The section linking Langdons Road in Papanui to the Harewood Road crossing via Restell Street passing the old Papanui Railway Station has long been a thorn in the side of this great route. 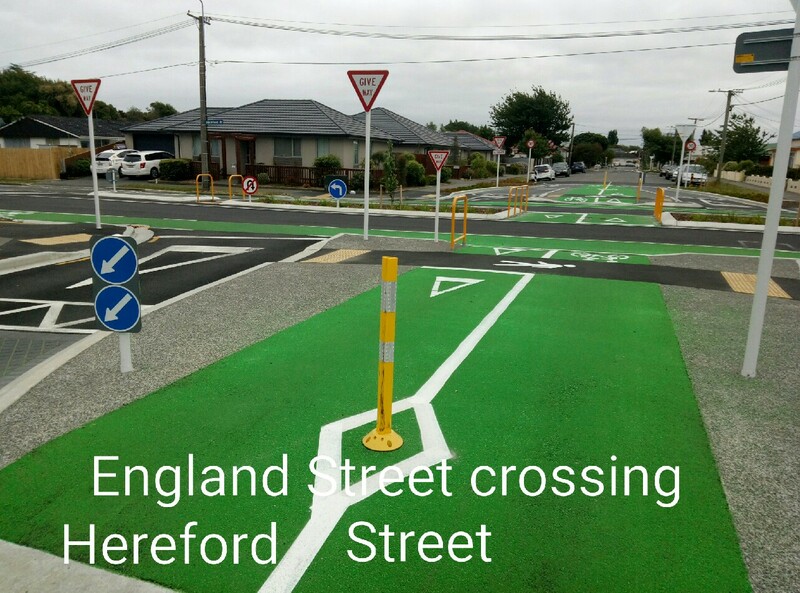 Difficult to negotiate because of bad signage, poor surfacing and an uneasy share the road requirement it has now been redeveloped to a superior standard. Completion was several weeks ago. 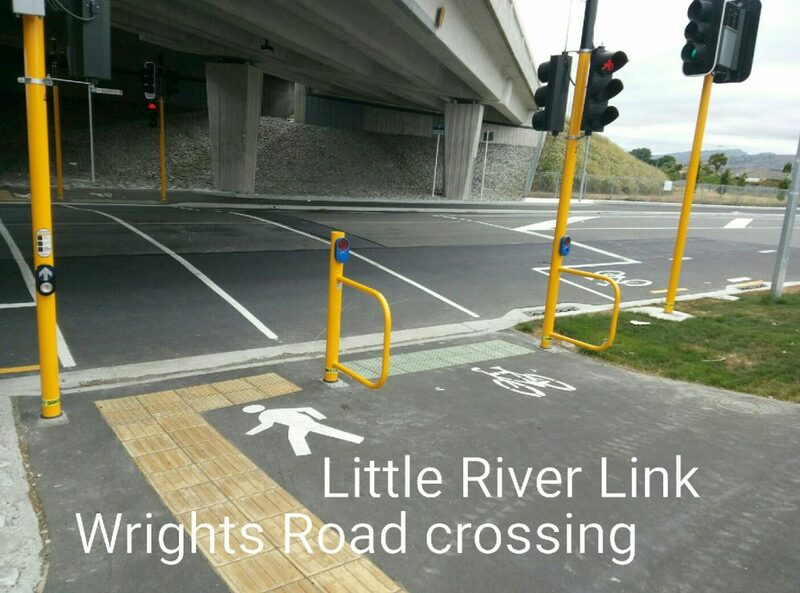 Not without its delays either, the Little River Link Major Cycleway is now complete and ready for use (many months after the official opening at Church Square). 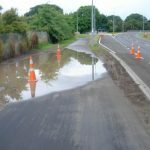 Probably a case of ‘you never know what you’re going to get until after the digging has begun’ the pedestrian/cycle crossing at Wrights Road and the approaches underneath the Southern Motorway has been a source of frustration and delays for motorist, cyclists and pedestrians for what seems like years. It is finally fully functional and excellent to boot. Any other developments not mentioned here ? The comment section is open. Hi Robert that’s awesome to see! I’ve linked to this good-news story from CAN’s front page, hope that’s OK with you + Glen!? Shame the sites where a bridge was available weren’t used. Traffic lights are the opposite of free-flowing traffic. Awatea Road bridge is not very good for cyclists as it is a narrow cycle lane often covered in loose gravel, broken glass and rubbish fallen off trailers on their way to the dumping station. The footpath is not labelled as a shared path so riding on that could well get you a ticket by cycle hating cops. Robert, they are fantastic photos. Wow its all happening down in Christchurch. Wow you guys must be happy. I like the narrow ness of the roading curvature. Nice slow and relaxing for the driver. Fantastic for bicycling. All the best & Merry Christmas.